Once the "Serve Static Resources from the Visualforce Domain" critical update is applied, certain static resources return with a HTTP 404 error the very first time they are loaded with an empty cache due to a redirection taking place to an incorrect static resource URL. If the page is refreshed, they load fine. - Actual result: HTTP 404 error is returned for certain static resources. - Expected result: Static resources should load successfully. 4) Turn on the critical update "Serve Static Resources from the Visualforce Domain". This is auto-enabled and enforced in Summer '16 (it was admin controllable in Spring '16). 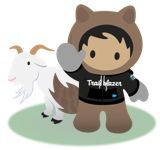 5) Try to access the Visualforce page directly right after logging into the org by going to https://<instance>.salesforce.com/apex/TargetApexPage. b) The Visualforce page will show "It did not work.". a) Reload the Visualforce page. b) In Spring '16 orgs, disable the critical update "Serve Static Resources from the Visualforce Domain". NOTE: In Summer '16 orgs, the critical update "Serve Static Resources from the Visualforce Domain" is auto-enabled and enforced. This feature cannot be disabled.